Hey, everyone. Justin here. 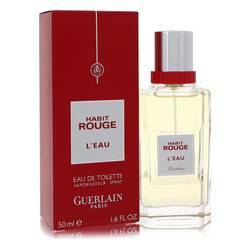 Today, I'll be reviewing Habit Rouge L'eau by Guerlain. 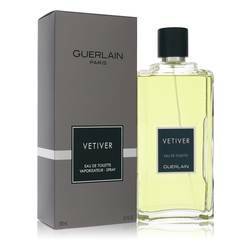 Composed by Thierry Wasser for the brand in 2011, this scent is an almost even mix of citrus and vanilla accords. Simply composed, the fragrance consists of bitter orange, vanilla, green notes, jasmine, patchouli, and hazelnut. And I think it really works well for day wear in most seasons, but particularly in the early spring. And I would recommend it primarily for business occasions. Guys, that is all for now. I hope you enjoyed this review. And please don't forget to follow FragranceX on Facebook, Instagram, Twitter, and Snapchat. And please subscribe to our YouTube channel. 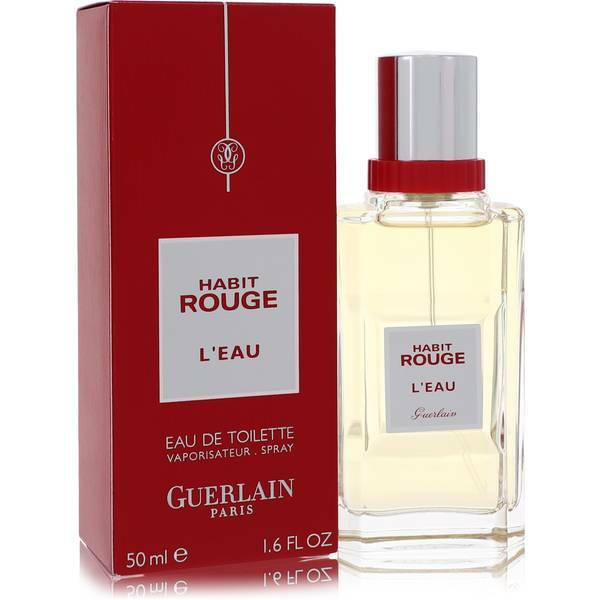 Habit Rouge L'eau Cologne by Guerlain, The distinguished aroma of Habit Rouge L'eau begins with jasmine and patchouli, blending with green notes and bitter orange. 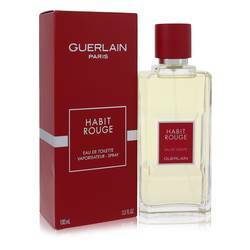 The cologne culminates with hazelnut and vanilla for an experience appropriate in the workplace and interesting enough for an evening out. 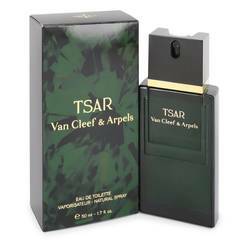 This men's cologne has a distinctive, handsome scent with earthy tones and rich, nutty notes. The cologne was created in 2011 and joins a long line of aromas based on tradition and passion. Draw Read More Read More attention to your presence with this fragrance from the talented nose of Thierry Wasser. 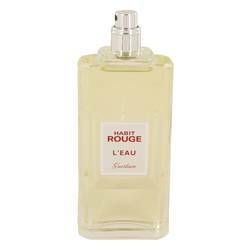 The cologne is beautifully crafted to satisfy you throughout your day. 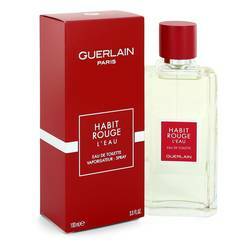 Guerlain is an old and established perfume house. The earliest offerings from this legendary house were created in 1860 and today, 2018, new fragrances are still being introduced. The founder, Jean-Paul, began his creations with luxurious ingredients, such as French vanilla, and materials from his own plantations, such as ylang-ylang. 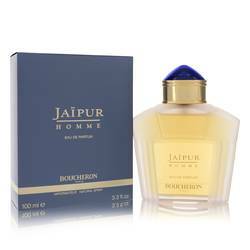 The company has also pioneered synthetic materials, such as coumarin. All products are original, authentic name brands. We do not sell knockoffs or imitations.